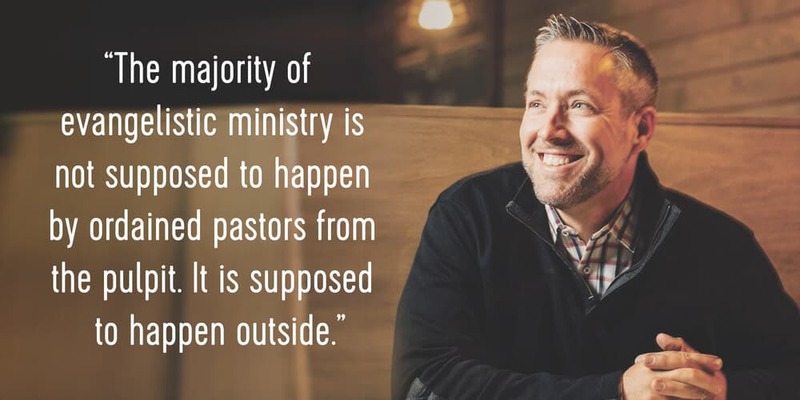 In 2002, when Greear took a job pastoring The Summit Church (then called Homestead Heights Baptist Church) of Raleigh-Durham, North Carolina, church attendance hadn’t grown in years. Over the next 10 years, the church relocated and changed names, and by 2015 it was home to 9,000 weekly attenders. It’s the kind of success story many churches would love to duplicate. “When we stand our members up on the platform and commission them, those are 120 members we are going to lose, but it’s going to make the kingdom of God gain.” Start Gaining by Losing. Read the rest of Jessi Strong’s interview with J.D. Greear in the January/February issue of Bible Study Magazine—subscribe today for 30% off the cover price! Wow. This is a blessing. I am in Raleigh/Durham and before opening Logos I posted on our education ministry Facebook page(where we support closing achievement gaps across the state)about this great opportunity about Compassion.Seeing the Summit Pastor on the cover of the lifeblog is a blessing. The message about Compassion was also mentioned in one of my community board meetings with a State Behavioral Health MCO. Amen Raleigh/Durham has wonderful pearls! Many blessings Pastor Greear for being KINGDOM MINDED! It really is a a Romans 2 Church. May we all get the this vision. I'm appreciative of the fact that God chooses and commissions members of the body of Christ who a heart to hear the voice of God and a spirit that is willing to be submissive enough to follow through with the call. Not all of us have the same commission for service, but we all have the same calling to serve. I pray that more of us will have our eyes opened to behold the needs of our world and hearts fiilled with the compassion of Christ to become laborers in the field. The harvest truly is great, but the laborers are few. I would suggest that you consider Christians that are already in other communities and not just the ones you send. Instead of sending 120, maybe there are already 60 there. Great points made here. Once your church reaches a certain size and level of success, it’s then your mission to reach out to the community to lift up the others around you. Thanks for sharing.